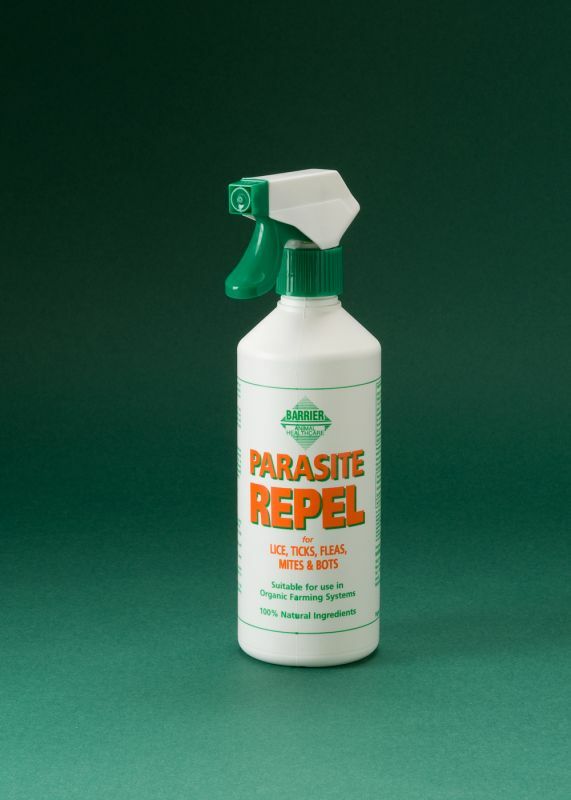 Parasite Repel is designed especially for horses and other large animals that suffer from parasitic problems. It is a quick acting liquid formulation that rids animals of all types of biting and sucking lice, mites, midge, ticks, mosquito, black flies as well as helping to prevent fly eye. Spray directly to areas normally prone to Bot egg infestation. Soothes and Calms: Can be applied to raw, inflamed and irritated areas to help soothe and calm. Fully HSE Approved - Licence No. 8163.: Full HSE Approval - Licence No 8163: In accordance with the Biocidal Products Directive, regulations require any product which holds itself out as any form of repellent to secure an approval and licence number from the Health & Safety Executive (HSE). This approval requires the active ingredient (Ai) to be listed on the label together with the amount of Ai being used. In April, 2006 Barrier Animal Healthcare secured the necessary approval and the licence number 8163 for this product.